The legal action instituted against recently sacked Chelsea boss Josè Mourinho by former Chelsea doctor Eva Carneiro will continue despite the latter’s sack according to sources close to the case. 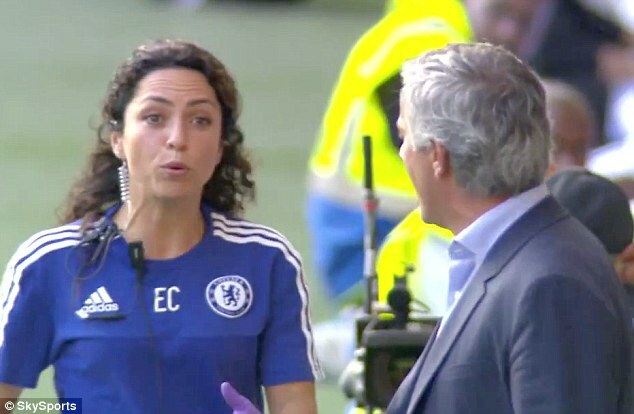 Eva Carneiro left Chelsea in controversial circumstances after she was criticised alongside Physio Jon Fearn by Mourinho after the opening day 2-2 draw between Chelsea and Swansea City at Stamford Bridge. Their roles at the club were subsequently downgraded leading to the exit of the female doctor. She is claiming constructive dismissal in his case with Chelsea while a separate case was also opened against Mourinho for alleged victimisation and discrimination and both actions will reportedly go ahead despite Thursday’s dismissal of the Portuguese manager as Chelsea boss. The constructive dismissal claim from Eva Carneiro against Chelsea however involves her reinstatement as long as Mourinho is no longer at the club though no move has taken place to effect that since the dismissal of the former Real Madrid manager 48 hours ago with reports saying the doctor’s relations with Chelsea’s technical director Michael Emenalo were also strained before she left the club.